Some software, especially when Java is first updated to a new version, does not immediately work with the latest Java update. You will need to uninstall the latest version and install an earlier version. Before you begin, verify the version of Java that is installed on your computer. If it is latest version, you will need to uninstall it and install an earlier version. 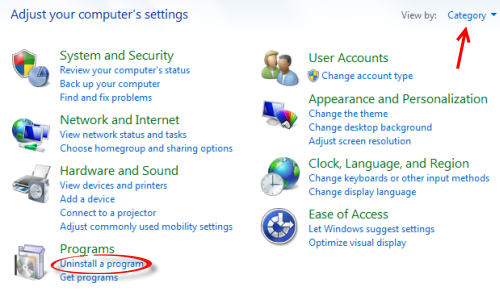 Step 1: Click the Start menu button and select Control Panel. 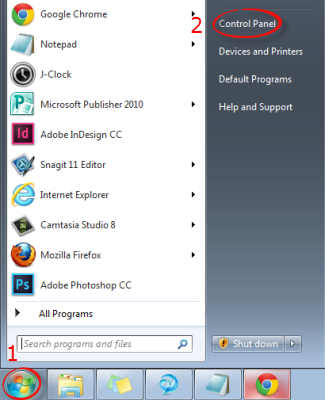 Step 2: Click Uninstall a program under Programs. You may need to be in Category view. Step 3: Type "Java" in the search bar in the top right corner. Step 4: Select the most recent Java version in the list of programs, then click Uninstall. Step 5: Click Yes to confirm. Step 6: If prompted, enter your username and password. Click the link below for the appropriate operating system to download Java Version 7 Update 45. College-owned computers are Windows 32 bit.